The future of the Social Sciences and Humanities (SSH) depends on their ability better to meet the needs of societies. To reach society, the economy and the political system, good interaction is required between the different intellectual communities, an interaction that overcomes traditional feuds between schools and disciplines. The first session presents and discusses the results of the SSH Futures project, a study about the future of the Social Sciences and Humanities in Europe. In this conference I was invited to talk about What is the role of social sciences and humanities in futures (SSH) research? To do so, in my presentation I used 841 cases to look at the role of the SSH in futures research. In Section 1 (Is futures research a fashion? ), the study sets the context and argues that foresight is not mere fashion, thus showing that today’s futures research is increasingly becoming a key and systematic instrument for the development and implementation of research and innovation policy. 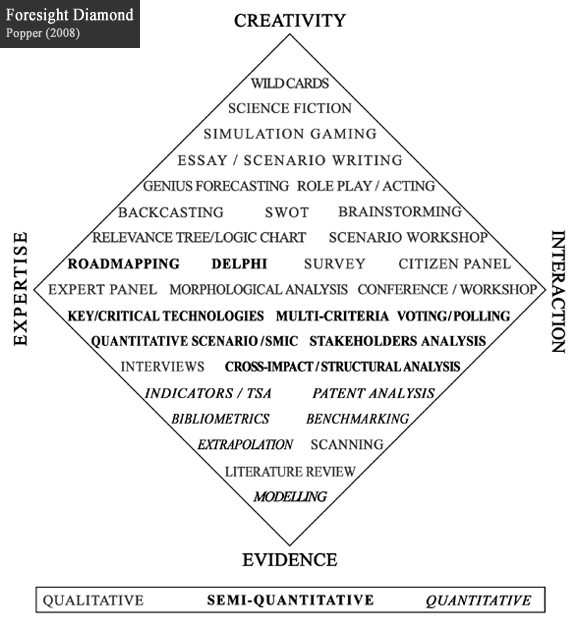 Section 2 (How to map interdisciplinarity in futures research?) provides a brief introduction to the Mapping Foresight activities carried out by the EU- funded European Foresight Monitoring Network (now European Foresight Platform – EFP). This section describes how the six areas of the Frascati taxonomy (engineering and technology, natural sciences, medical sciences, agricultural sciences, social sciences and humanities) were used to indentify (a) key areas of inter- and transdisciplinary research in Europe and (b) key areas of specialization even within the disciplines. Section 3 (What is the role of SSH in futures research?) shows the interconnection and interdependency of SSH with other main areas and 62 sub-areas of the Frascati taxonomy. 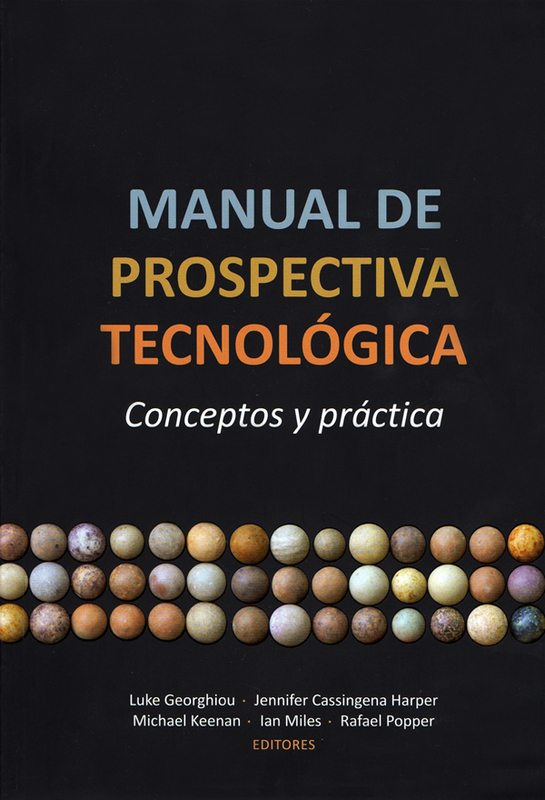 This section reveals, for example, that Engineering and Technology, Social Sciences and Natural Sciences are by far the most popular categories characterizing futures work. The results of the analyses show similar interdependency patterns between Engineering and Technology and Social Sciences. Another (hardly surprising) finding is the low proportion of Engineering and Technology studies interconnected with areas of Humanities (5%). However, it was indeed rather unexpected to find that 65% of the Humanities studies are linked to Engineering and Technology areas. At an aggregated level, these results expose the existence of uneven or asymmetric interconnections between research areas. However, at the lower levels, it is possible to identify sub-areas that might well be considered ‘knowledge junctions’ between SSH and other areas. The analysis suggests, for instance, that there are two equally important sub-areas linking the Engineering and Technology and Social Sciences areas, namely: Environmental Engineering and Communications Technologies. Although the importance of these linkages may be obvious for some, their recognition as fundamental ‘knowledge junctions’ in the relationship between Engineering and Technology and Social Sciences is a significant result of the mapping. Section 4 (Final remarks and recommendations for the future of SSH) argues that social sciences is the ‘binder’ of all research topics in the foresight exercises. Except for Behavioural and Cognitive Sciences and Law, Justice and Law Enforcement, all topics are highly interconnected with other areas of the Frascati taxonomy. In particular, the study highlights the cohesive role of foresight on sub-areas of the Social Sciences. This is mainly because foresight projects are designed in such a way that, at some time in the process, linkages are established with the policy dimension or (using the Frascati terminology) with sub-area Policy and Political Science. This is quite the opposite with research within Humanities, which have the least salient links to other research topics. For this reason, the study recommends (1) promoting futures research on Behavioural and Cognitive Sciences and Law, Justice and Law Enforcement topics; (2) promoting futures research on sub-areas of Humanities, such as journalism, religion or history; (3) involving SSH researchers in activities aimed at informing and shaping foresight practices; and (4) informing SSH researchers, policy-makers and business communities about the role of SSH in futures research (such recognition could increase the profile of SSH; increase the interdisciplinary nature of research, networking and co-operation; and help identify more coherent and bottom-up Grand Challenges by interconnecting knowledge from a wide range of domains). (Brussels, Belgium) Speaker on the Role of Social Sciences and Humanities (SSH) in Futures Research at the Final International Conference of the Future of SSH project (Over 90 participants). Social Sciences and the Humanities have an important mission in the knowledge society and for evidence-based politics. However, their role is not always appreciated and their inputs are not always effectively used. There are discrepancies between the potential importance of social science knowledge and the comparatively low attention they receive from politics, other scientific fields and the public as a whole. To reach society, the economy and the political system, good interaction is required between the different intellectual communities, an interaction that overcomes traditional feuds between schools and disciplines. At the final conference of the SSH-FUTURES project commissioned by DG Research in the 6th Framework Programme in Brussels in October a workshop will be held on the topic of ‘The Future of Social Sciences and Humanities’. The conference will be a two-day event held. On the first day, the members of the SSH-FUTURES consortium will present the results of their study and discuss potential recommendations and conclusions. The second day will be devoted to the results of similar projects. On the 6-8 of October 2009, the Russian Corporation of Nanotechnologies (RUSNANO), established to enable Government policy in the field of Nanotechnology, organised its Second Nanotechnology International Forum. The Forum was opened by the President of Russia Dmitry Medvedev, who emphasized that the nanotechnology development is of special importance for the national economy. As noted by the head of the state, the nanotechnology investment program implemented in the country is the largest in the world with 318 billion roubles to be allocated for this purpose until 2015. Forum events were also attended by Sergey Ivanov, the Deputy Chairman of the Russian Government, Boris Gryzlov, the Chairman of the State Duma, and other public officers. The leaders of the state visited the exhibition of the latest nanotechnology developments, paying special attention to the exhibits presented by Russian participants. The Forum involved over 11,000 politicians, businessmen, and scientists from Russia and other countries. The nanotechnology project exhibition was visited by over 10,000 people. The “scientific block” of the Forum consisted of 17 science and technology sections with 221 panel and 197 poster presentations made, plus 508 poster presentations by the participants of the Second International Competition of Scientific Papers for Young Researchers. 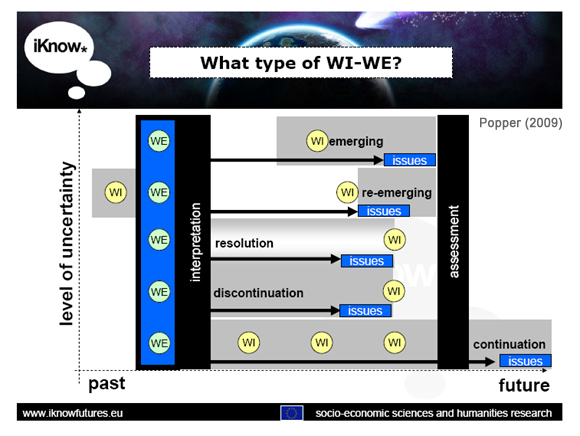 The Programme of the Forum included a session on foresight, roadmaps and indicators for nanotechnology and nanoindustry where I was invited to talk about the iKNOW project’s Use of Weak Signals for Nanotechnology Foresight.